The International Association for the Study of the Philosophy of Edith Stein (IASPES), immediately nicknamed ‘The Stein Circle’ by its first adherents, was founded in June 2009. It comprises Stein scholars from all over the world, and hence works mostly, but not exclusively, in English. Its aim is to explore and disseminate the thought of Edith Stein by organising conferences, preparing publications and providing a platform for contact and discussion among Stein scholars. 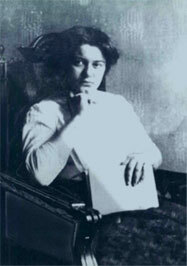 Edith Stein has been known for her exemplary life since her beatification in 1987 and subsequent canonization in 1998. Attention focussed in this manner, although also justified, has had the unfortunate side effect of overshadowing the fact that she played a key role in the phenomenological movement and was herself what we must call a great philosopher. Her trajectory, starting with an analysis of empathy, an exploration of the constitution of intersubjectivity and an investigation of the state as the intersubjectively constituted subject of historical experience in modernity, allows her to base her later philosophical anthropology and engagement with the meaning of being on an explicitly phenomenological exploration of the social construction of reality. It is the sophistication of this perspective that allows her to take revealed Christianity into account as regulative for the believer’s constitution of the world and hence engage with Scholasticism while remaining true to the phenomenological method. It is also this perspective that allows for St. John of the Cross’ mysticism of the night to penetrate her thought completely so that conscious not-knowing becomes the key to the soul’s maturation and to a consequently more adequate perception of reality.